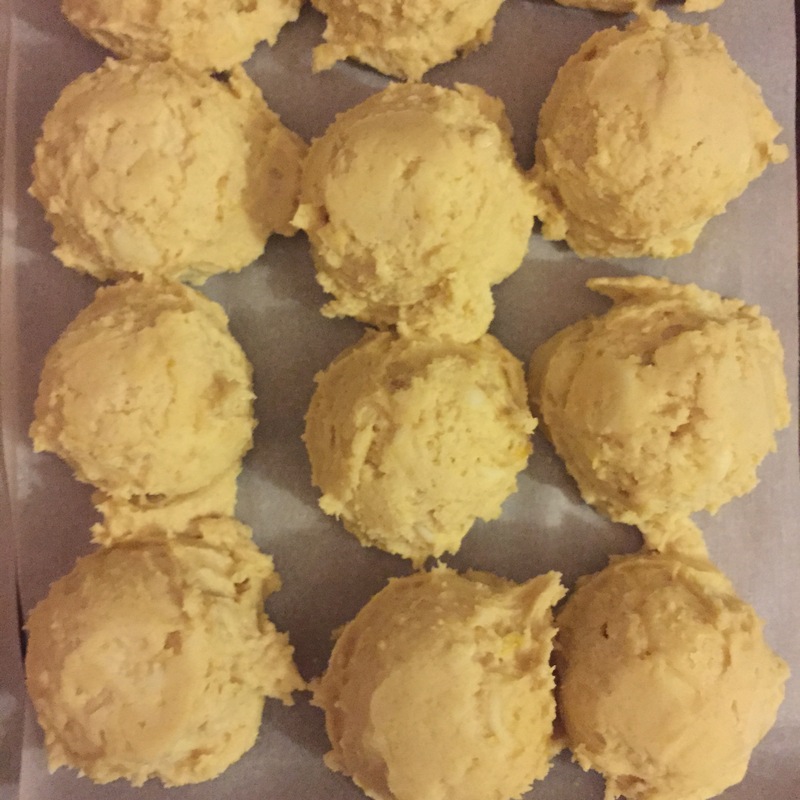 A special request was made for some type of lemon or orange cookie and I took to Pinterest to find something f tasty that could count for my challenge. 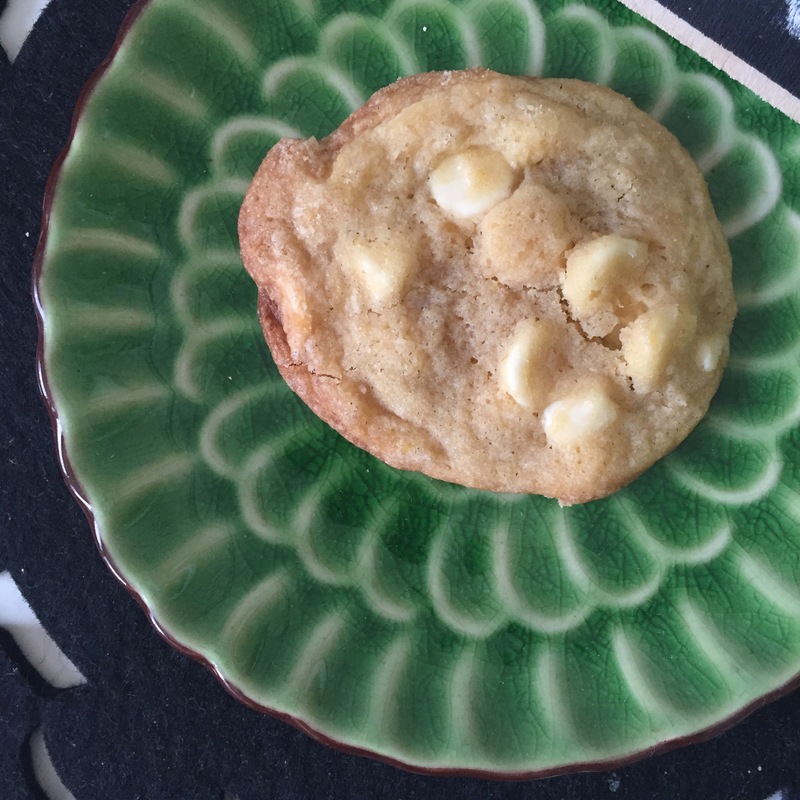 I love lemon but not so much white chocolate chips, so I was a little apprehensive. Can you really go wrong with cookies though? I mean really. This recipe called for lemon zest. 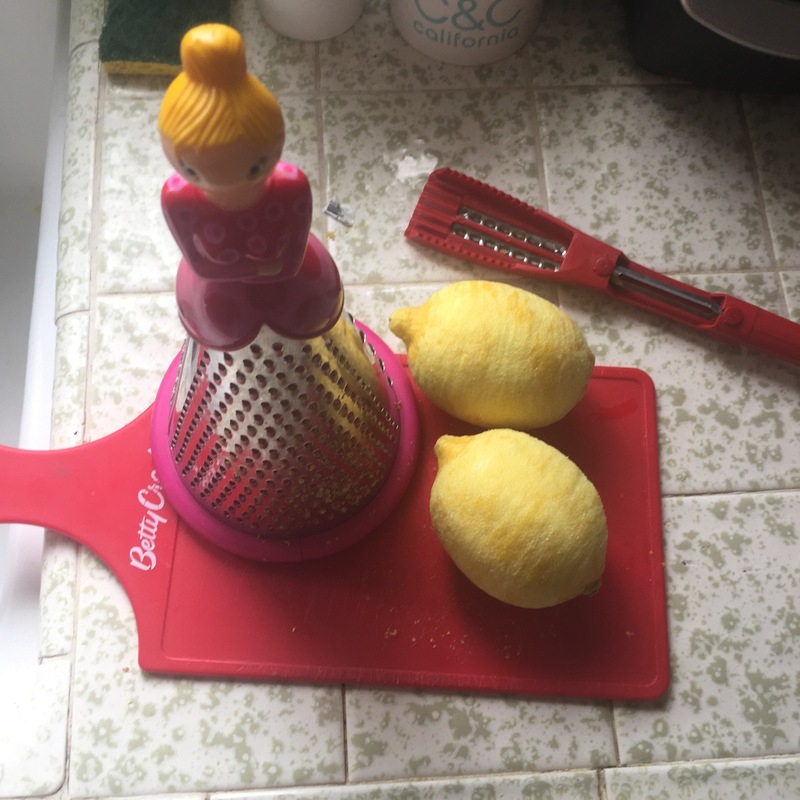 I have never made lemon zest before so I called my brother to ask how to do it. Just my luck, he had made lemon pancakes for his girls that very morning and was full of helpful information. I am so glad I called because lemon zest is the exact opposite part of the lemon than I thought it was! He showed me the grater to use and some tips. It’s was easier than I thought! (If you don’t have a brother to ask, I am sure there is a YouTube video). I used the medium grate to get the zest! After refrigerating the dough until the summer heat cooled down, these baked up quite nice! There is a good lemon flavor, and a nice butter taste, too! These turned out better than I thought – these seem like a good cookie for a summer baby shower. 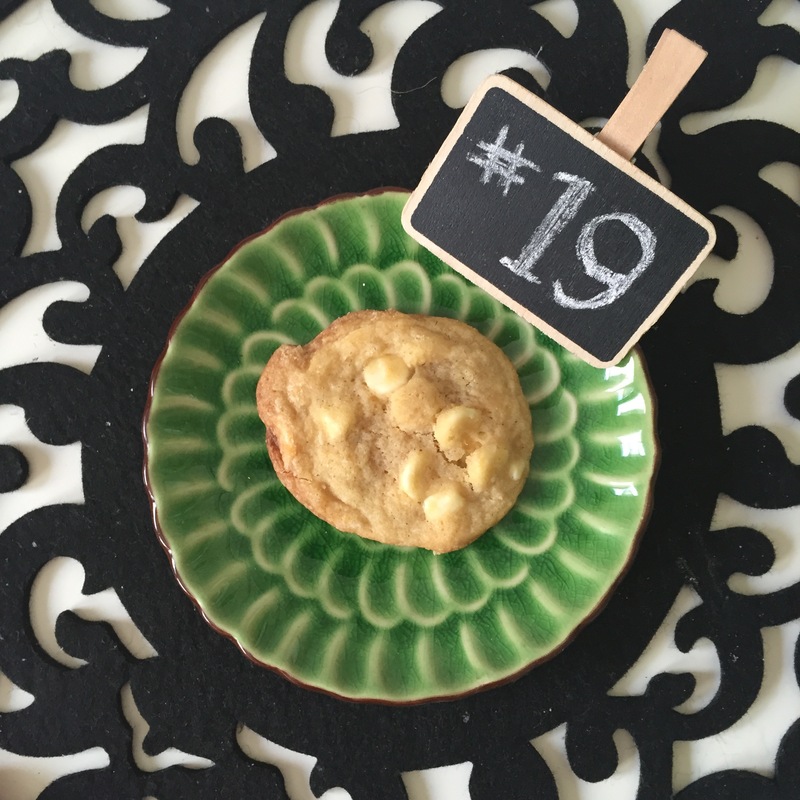 You can find the recipe here, try it and let me know how yours turned out!